Fan artist BossLogic has imagined Idris Elba as Deadshot in James Gunn's The Suicide Squad. It was revealed earlier this week that Elba is in talks to replace Will Smith as the popular character in the upcoming sequel. The actor reportedly met with the director and the two hit it off after it was revealed that Elba was the only name that Gunn had on his list to take over the role. The announcement has gotten a lot of DC fans excited to see what Elba and Gunn are going to bring to the table. In BossLogic's new Suicide Squad 2 art, he takes the Idris Elba head from his Stacker Pentecost character in Pacific Rim before adding in some Deadshot attributes. As is the case with all of the artist's work, which has now been recognized by the actors and actresses who play these characters, it's great and really gives a neat indication as to where James Gunn may take the character visually. Getting a BossLogic portrait is truly a badge of honor in the world of the Hollywood superhero realm. Once it was revealed that Will Smith was not participating in Suicide Squad 2, many DC fans just assumed that Deadshot was not going to be included in the movie. Rumors, which have now mostly proven to be true, stated that James Gunn was going to be working with a new set of characters in the upcoming sequel. With that being said, fans were taken aback when it was first rumored that Don Cheadle was taking over for Smith and then later when it was revealed that Idris Elba is in talks to take on the role of Deadshot. As for the other characters that will be included in Suicide Squad 2, those were reportedly leaked earlier today. The new team is believed to be King Shark, Peacemaker, Polka-Dot Man, and Ratcatcher, which is really diving deep into the comics. Along for the ride will be Idris Elba's Deadshot and possibly Margot Robbie's Harley Quinn, though she has not officially hopped on board at this time. It is not believed that Jared Leto's Joker will be making a comeback for the sequel, especially since Warner Bros. and DC have the Joker movie starring Joaquin Phoenix hitting theaters this fall. Things are really starting to look up for Suicide Squad 2, which for a while looked a bit questionable as to whether it was really going to happen or not. James Gunn is taking over for director David Ayer and breathing new life into the project. While the first movie was universally panned by critics and fans, it was a pretty big box office success that went on to launch Margot Robbie's Harley Quinn into pop culture status. 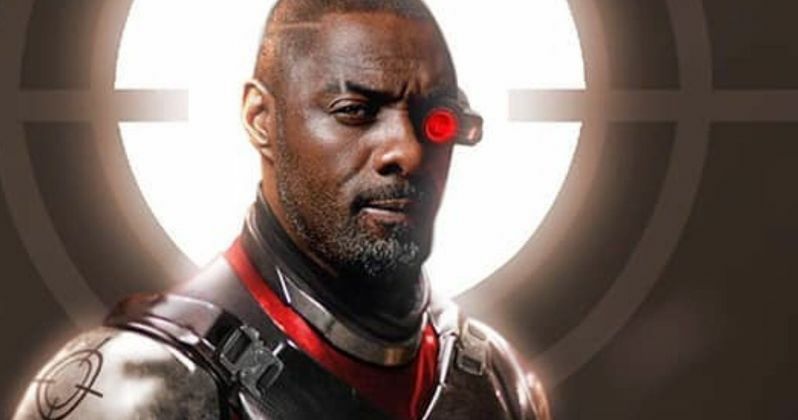 You can check out what Idris Elba could look like as Deadshot below, thanks to BossLogic's Instagram account.